As its first offering, 7101 Music Nation presents “The 1st ELEMENTS National Songwriting Camp” to be held on November 14-18, 2010 in Dumaguete, Negros Oriental. Set against Dumaguete's beautiful beaches and rain forests, Elements aims to gather aspiring and professional songwriters from various disciplines and provide them with a venue to learn, collaborate, interact, and create music in a natural setting. Whether it’s by a neat campfire in the pools of Bahura Resort or a field workshop amid the rain forests at Lake Balanan, ELEMENTS aims to create a unique experience that combines fun and education with something that everyone loves—music. The first of its kind, ELEMENTS is an annual songwriting camp for aspiring and professional songwriters. For its maiden voyage, artists of different genres and disciplines and aspiring songwriters will be treated to an out-of-the-classroom mentorship from November 14 to 18, all expenses paid. Sixty participants will be chosen. Of these 60, 20 slots would each come from Luzon, Visayas, and Mindanao. The 5-day workshop will present modules on Musikang Pinoy: History 101, Basic Music Creation, Lyrics, Beyond Music and Words, Commercial Music Structures, The Music Producer, Publishing & New Business Trends, Music & Technology, Music Videos & Production and Music & Inspiration. 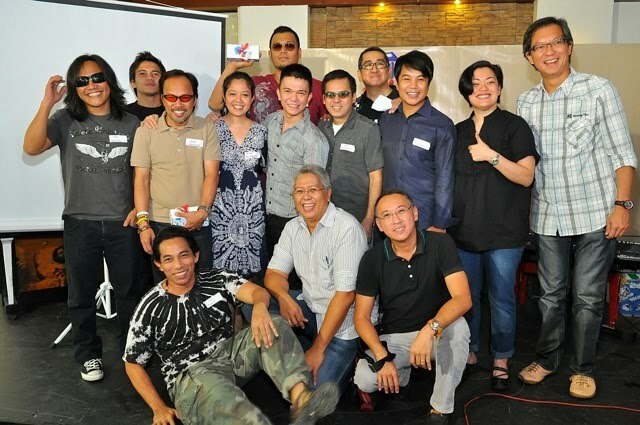 Speakers, Lecturers, and Team Facilitators include such luminaries as Jim Paredes, South Border's Jay Durias, Side A's Joey Benin, Joey Ayala, Noel Cabangon, Gary Granada, Gary Valenciano, Chito Miranda of Parokya ni Edgar, Gabby Alipe of Urbandub, Sponge Cola's Yael Yuzon, Jonathan Manalo, Jungee Marcelo, Trina Belamide, and many more. To apply, log on to their official website http://www.7101musicnation.com.ph. Application period is from July 20 to August 22, 2010. Live auditions and tryouts will be handled and overseen by Ryan Cayabyab and his team of songwriters. The final list of chosen songwriters will be announced on September 22, 2010.